I met up with many frequent flyers who thought it was very strange for someone my age so into technology would wear a watch. The flyers’ justification was that since I had a cell phone and the cell phone tells time I have no need for a watch. About a month ago the battery of my wristwatch died for the second time. Since the face was also scratched up and I had the watch for 5 years I decided to part with it. I guess I’m more impatient than others. Since cell phones are not allowed during taxi/takeoff/landing I get in a time warp during flights now. I can’t really tell how long we have been stuck on a taxiway or anything like that without a watch. I thought I could survive without a new chronometer, but I will soon be purchasing a new one. I’d like a watch with two timezones, but I like skinny watches. 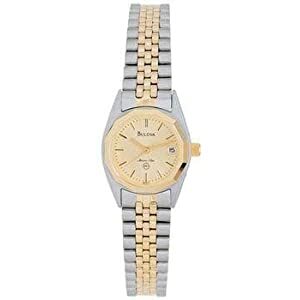 The biggest issue I have is there is something about my sweat or skin that dissolves the bands of watches so I must purchase a watch with a stainless steel band. There aren’t many skinny woman’s watches with stainless bands so my last watch was approaching the width of a man’s watch. My last few watches have been fossil. It is easier to stick with them, but really it doesn’t matter. I do not, however, believe there is a reason to spend $5,000 on a watch just like I don’t believe in spending more than $140 for a pair of shoes (but I will not spend less than $80 either since comfort is very important to me). I guess expensive watches are mostly a guy thing anyway. I know I’m not into fashion like the other BoardingArea women, but I don’t hear much about Rolexes as a main accessory like for men. I’m sure there are watches out there that cost a couple thousand dollars, but I mainly just need something to entertain me during taxi and takeoff so that would be like killing a fly with a hatchet to me. I still wear a watch. It is much more accessible/easy to read than a cell phone. I love my watch which is synchronized to the atomic clock (it updates each night), so I always know I have the correct time. Very cool. I love watches — I love the look – I’m techy but I love crazy big watches. It is way easier than pulling out your cell phone – just one flick of the wrist when your hands are full. An anesthesiologist friend of mine said he can tell who is under 30 by looking for if they have a watch tan line or not!